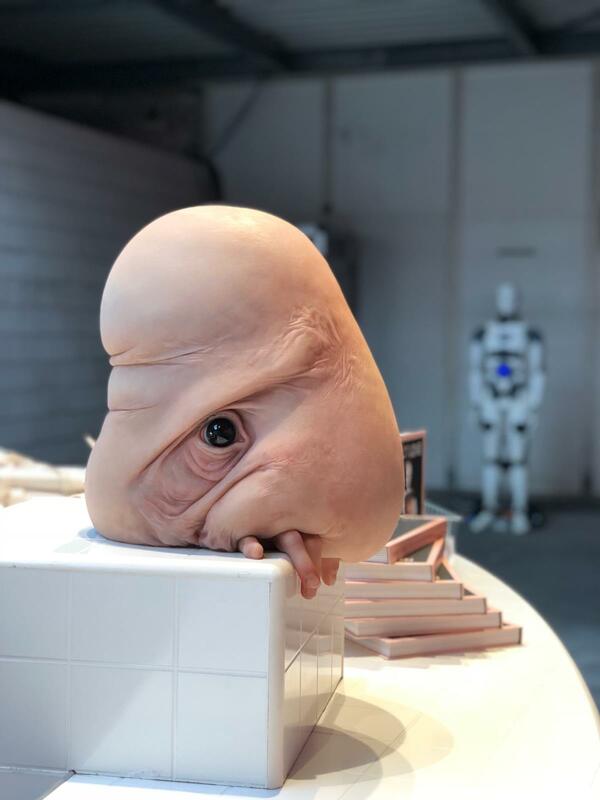 The hyperrealistic sculpture Bob by Dutch artist Margriet van Breevoort appears to be a creature that does not belong to the human race or the animal kingdom. Is Bob a hybrid being? A genetic experiment? We recognize ourselves in the skin, eyes and fingers of the sculpture, but do not know how to place is as a whole. Margriet van Breevoort knows how to fascinate her audience with the thin line between the exceptional and the impossible through her hyper-realistic approach. Is Bob a future citizen of our society? In the light of what is possible today, this could very well be possible.